On June 19, our district will be hosting its first iPadpalooza in Austin, Texas. 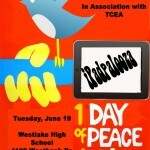 Cosponsored by TCEA, iPadpalooza will be a learning event for all things iPad. Student presenters will talk about our own experience with 1:1 iPads, as well as educator led sessions on helpful apps, lessons incorporating the iPad in classrooms, use of iPads in libraries, and the nuts and bolts of iPad use. We want to hear your stories as well, particularly focusing on collaboration, creation and creativity. 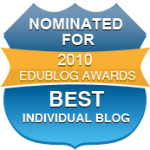 The call for presentations is up at http://www.ipadpalooza.com and registration is open (and is inexpensive). If you’re traveling here, there is information on the website about the conference hotel and other details. We plan the conference to be a confluence of play, creativity and learning, as we all begin engaging with the possibilities of mobile devices in our learning environments. Please join us either as a presenter or a participant!